Twenty-three unedited nlp CD's from a seminar held live in Munich, Germany. 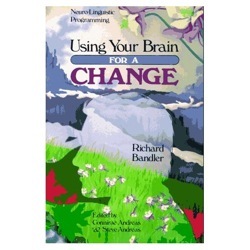 Together with John La Valle, Richard Bandler is at his peak of performance at his very most favorite subject: Hypnosis. It includes exercises, inductions, and more!! Because this CD set is unedited, there are blank areas on some of the tapes. This is because during the actual seminar, we wanted to preserve as much continuous information as possible without having to "flip" tapes too often. This set is valuable for everyone who uses hypnosis or nlp, wants to use hypnosis, or just wants to learn more about human communications at the unconscious level.